Deep Water 4-6" MLW, with quick access to Chesapeake Bay. This remodeled 960 sq. 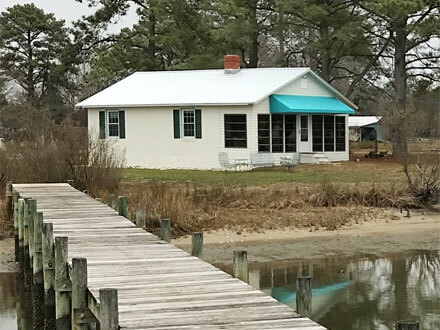 ft. waterfront home is bright and airy with beautiful pine floors, like new kitchen, enclosed front porch area, newer HVAC, new state of the art water softener system, and new roof. All appliances convey. Enjoy wide water views from the new improved $10,500 oyster reef protection installed along the shoreline, or boat, fish, and crab from the private pier. Must See!